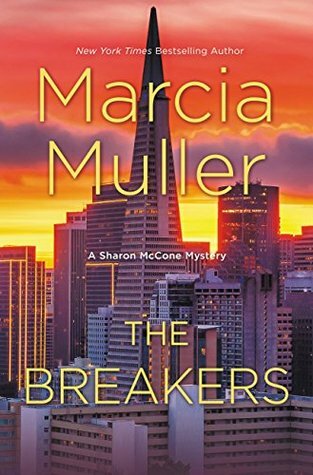 The Breakers is a rather low-key episode in Marcia Muller’s long-running Sharon McCone series. In general there are two types of long-running series: those where the characters remain static and familiar, and those where the characters change and develop. Sharon McCone is the latter, though her supporting cast is more the former. Unfortunately that supporting cast is mostly missing from this particular novel, but it’s still an OK mystery. It also has the advantage that it can be read without reading the preceding 33 novels! I’m not sure what to say without committing spoilers. The story did keep me engaged throughout. The solution to the mystery wasn’t obvious. So those are both good things. The trouble is that there wasn’t as much depth as usual. It was a little hard to care about the people and the actions, as I felt a bit distanced from both. Read The Breakers if you are a completist, like me. Otherwise, don’t bother.